Size 24x36 - Vinyl/knit waterproof barrier. Heavy metal and dehp/dop free! Washing Instructions: machine wash warm, rinse well tumble dry remove promptly, no softener or excessive bleach. Do not iron. PREMIUM QUALITY - Made in USA. Durable Backing. Can last up to 350 washes. Heavy metal and dehp/dop free! HIGH SOAKING CAPACITY - 6 oz soaker. 50/50 Cotton/polyester. Measures 24 by 36 inches. 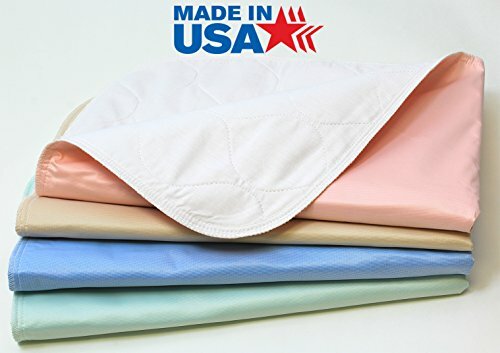 WILL LAST - Stop using disposable underpads when you can reuse these premium quality bed pads. If you have any questions about this product by Careoutfit, contact us by completing and submitting the form below. If you are looking for a specif part number, please include it with your message.